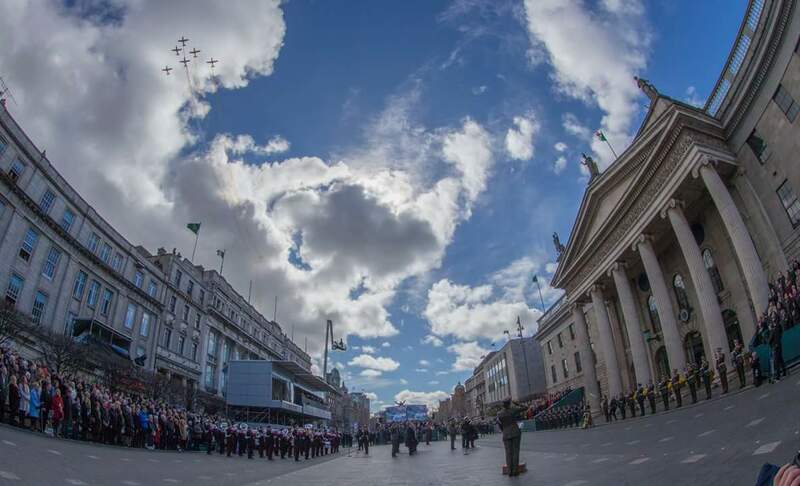 This weekend the Irish state remembered the men, women and children of 1916 and the Easter rising in a number of state occasions, the highlight of which was a parade down O’Connell St and wreath laying ceremonies across the country. I decided a long time ago that I would wait to commemorate 1916 on the correct anniversary, the weekend of April 23/24th 2016 rather than at Easter. I can see the governments thinking behind holding the events at Easter rather than on the real anniversary but it is flawed thinking. So what if this past weekend was a 3 day weekend anyway, it was not the centenary of an event that took place in April, it was a cop out by the government. Regardless of this and me not being particularly happy with it, it still doesn’t stop me being proud to be Irish and of the events that did take place over this past Easter weekend. 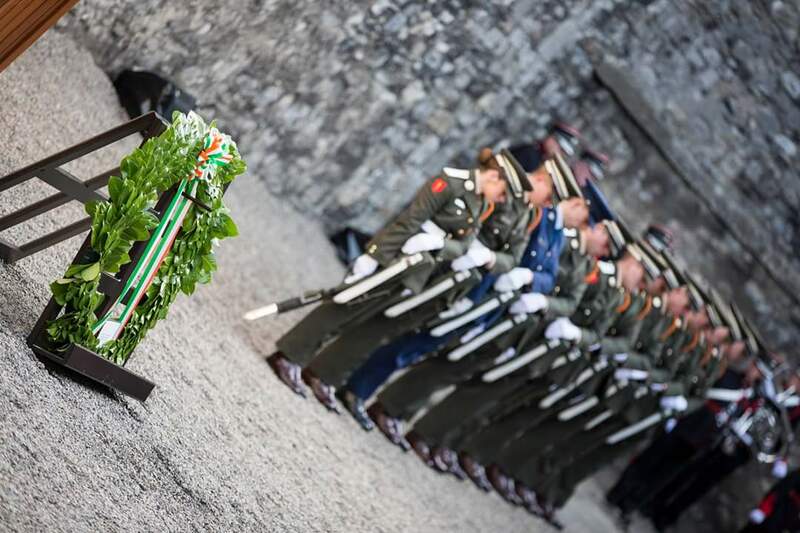 My ex colleagues in the Irish Defence Forces done themselves and the country proud. I think I have watched every video, looked at every photo gallery and to see faces I knew in the parade was great. It was a goal of mine to photograph the centenary parade for Reveille Magazine, but my personal life and changed circumstances meant I now live in the USA and am happy I missed out on the parade as I am living a different and happy life here. Before I left Ireland I was working with my friend on a Military History Magazine for Ireland. 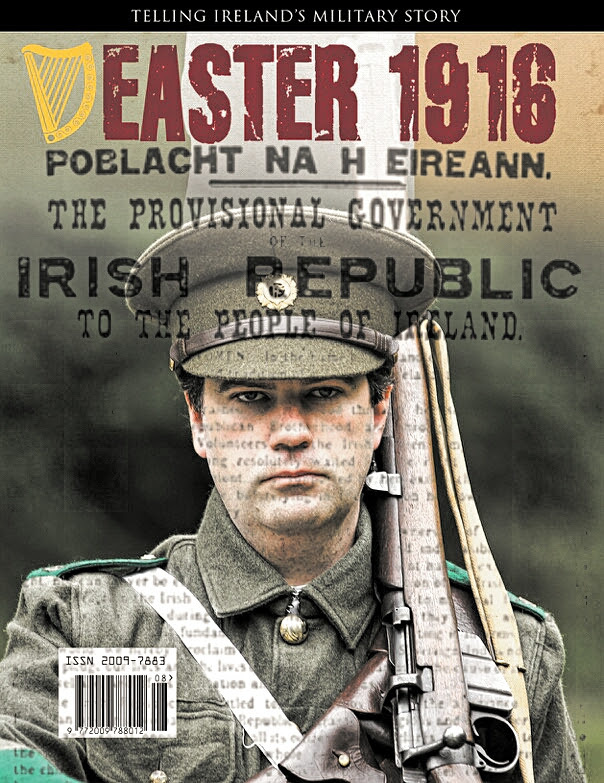 He was the editor and I was the photographer/picture editor and together we brought an idea to fruition and got it published and we are now on Issue 5 with a special 1916 issue also published. It’s available to purchase across Ireland and UK but can also be subscribed to for anyone living overseas. Just go to http://www.irelandsmilitarystory.ie/subscribe and follow the information to get your copy delivered to your door every 3 months. Ok less of the advertising, I have stated before that I lived within a stones throw of Kilmainham Gaol and went to school in St Michaels CBS which back in 1916 was called Richmond Barracks. Well both of those locations had important roles to play in 1916 and again this weekend. The leaders of 1916 were held in Richmond Barracks before bring brought to Kilmainham Gaol for execution. Living in such an historic part of Dublin gives you a certain outlook on the events of 1916 as it was there that the Rising and it’s leaders met their end, courtesy of the British government. I hope to have a more comprehensive write up about the 1916 Rising on the weekend of April 23/24th and I may even ask a guest writer to pen a small history and fact based article to compliment my own blog post on the events of April 1916.